The Government of India is providing 10% reservation to the Economically Weaker Section of the society in civil posts and services and admission in Educational Institutes. Amendments have been made to Article 15 and Article 16 of the Constitution for the advancement of the Economically Weaker Section. Here is what has been actually written in the Gazette of India. Who will fall under the Economically Weaker Section reservation criteria? 200 sq. yards or above of Residential plot in areas other than the notified municipalities. 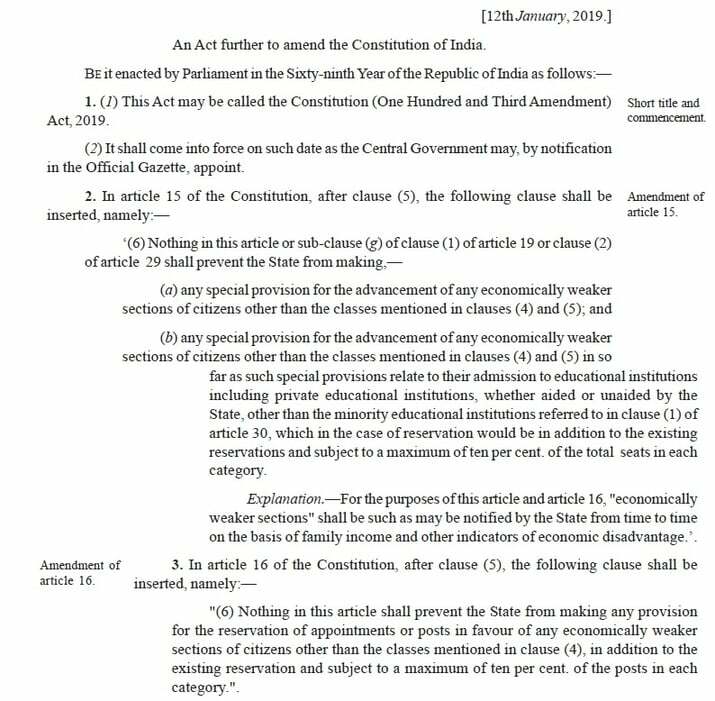 A very important point to note here is that the EWS certificate will only be issued to the persons who are not covered under the existing reservation scheme for SC, ST and other and other Backward classes. Yes, the Government is not leaving any stone unturned. 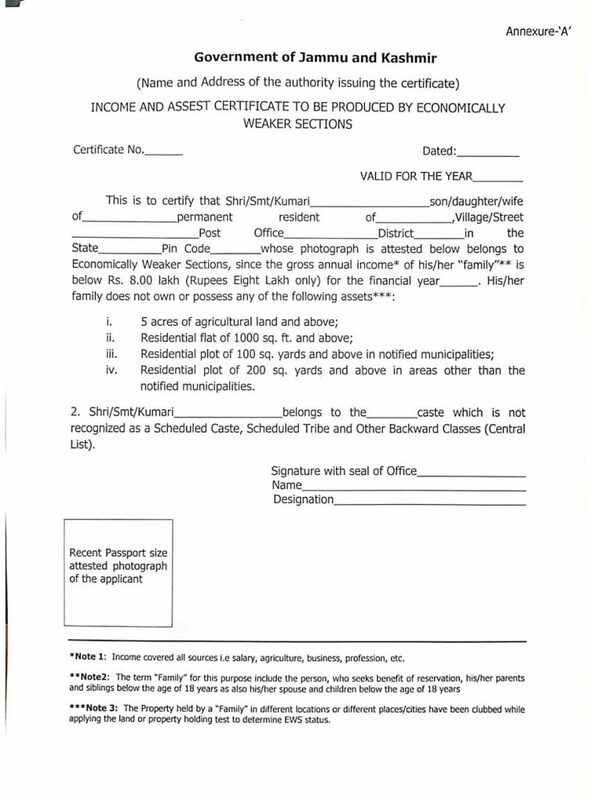 The property held by a family in different locations of cities or places will also be counted while determining the land held by the candidate when he/she applies for the EWS status. What is the minimum income eligibility for the obtaining Economically Weaker Section Reservation Certificate? The minimum income for obtaining an EWS certificate has to be below 8 lakh rupees annually which will include the family income. The income of the prior year from all the sources shall be taken into consideration, be it from agriculture, salary, profession or any other means at the time of application. Who shall be the competent authority for issuing the Economically Weaker Section Certificate? To check the authenticity and maintain transparency in the appointment of the genuine candidates under the EWS this clause is to be added while appointing the candidates. With the introduction of EWS Reservation, it has given more opportunities for the Economically Weaker Section. Make ample use of it who fall under the category. For the candidates who do not fall under Economically Weaker Section Category, there is definitely going to be more competition in getting jobs. This might not be a permanent reservation category as it is challenged in the Supreme Court of India for review. It is for the Hon’ble Supreme Court to decide whether the 10% EWS Quota stays or is junked. How do you see the reservation system in India? Share your thoughts with us in the comments section below. We’d love to hear from you. Sharing is Caring. Do Share the Article.